I am an avid runner and run every morning. A lot of people are now taking up running as an activity but are also scared of running due to the various myths floating around. For the longest time, I have been hearing that running is bad for the knees. More often than not this statement always comes from people who are not runners or even attempted to run. They are the sedentary doctors. According to me ‘Running is not bad for the knees’, however, what’s important is to have the right posture and form while running. There are a number of running techniques which can really help you to increase your endurance and boost stamina. Today, there are two distinct running styles – Gliders and Gazelles style exhibited by Ironman’s best runners. Ironman is a series of long-distance triathlon race that includes swimming, biking and running. One can choose these running techniques according to your body. High knee drive is the main characteristic of the gazelle style due to which it gives longer air time with more distance covered between strides and a faster possible velocity. Glider-style is a more upright posture with a low knee and throws the foot out in front of the body. Landing comes almost instantly after toe off. But glider maintains the same speed for long. While it’s not running but, the poor running form that can cause knee, ankles, hip and back injury. For instance, most of us have tightened, shortened hamstring and iliopsoas muscles as a result of sitting around in chairs all the time. When these muscles, which are prime movers when you run, cannot perform their task with efficiency, the knee joint is put under unnecessary pressure and stress. These imbalances are what lead to poor running form, which in turn leads to injuries. 1. If your back hurts due to running, then probably you are bending too much while running. 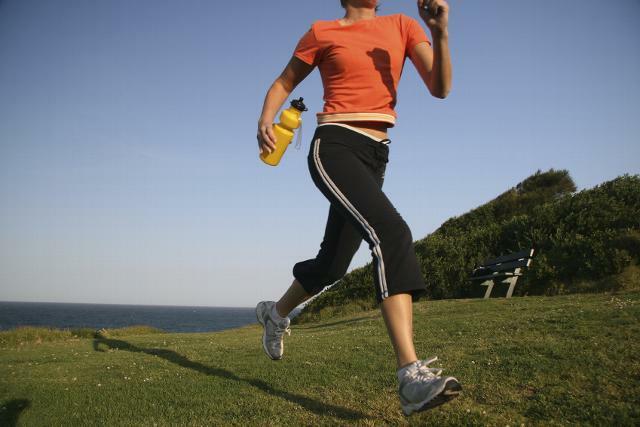 Try to focus straight or something in front of you instead of looking at the ground while running. 2. Check the landing of your feet while running. If your feet hurt then you might be running or jogging on the tips of your toes or hitting your heels on the ground. Running on the balls of your feet is the best. 3. Never try to run on the tip of your toes or heels, it can result in injury. If you are not experiencing severe pain in your knees, you can still jog using the Chi Running technique. Chi Running technique uses your core strength for running. Chi is the energy that syncs body, mind, and spirit together, Energy passes from your core (In anatomy, the core refers, in its most general of definitions, to the body minus the legs and arms. ) into the limbs to create movement. Great tips. It would be nice if there was some images/videos that describe what the Gazelle and Glider style are. Also, the youtube link at the bottom, did not come out as an embedded video but as just some text.